Golden Artists Entertainment along with Rebekah Kochan and Dante Present the 15th Annual US Comedy Contest. Tickets $20 in advance or $25 day of show - Get your tickets now! The 15th annual U.S. 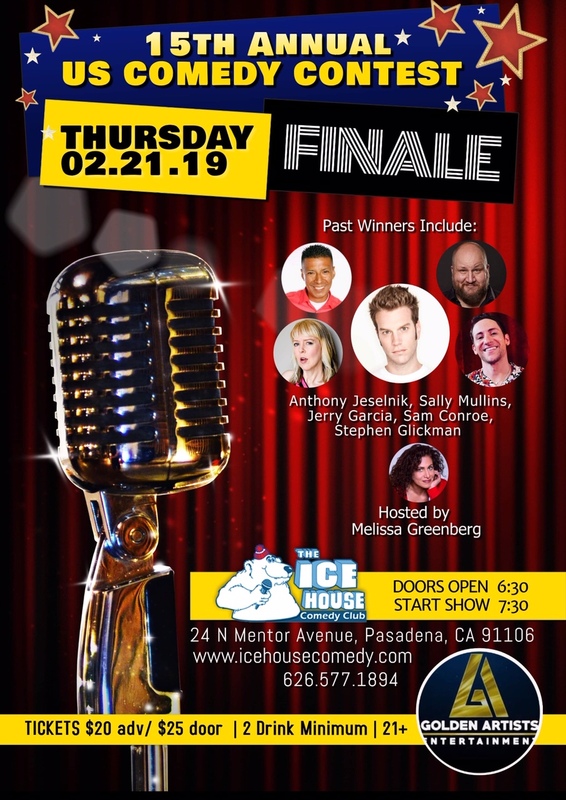 Comedy Contest is back for its finals again at the world-famous Ice House comedy club. See the top comedians from all over the country battle it out for the title of the winner of the U.S. Comedy Contest. Past winners include America’s Got Talent's own Sam Comroe, Anthony Jeselnik, Sally Mullins, Tony Baker, Stephen Glickman, Nate Hurd and Jerry Garcia, to name a few.